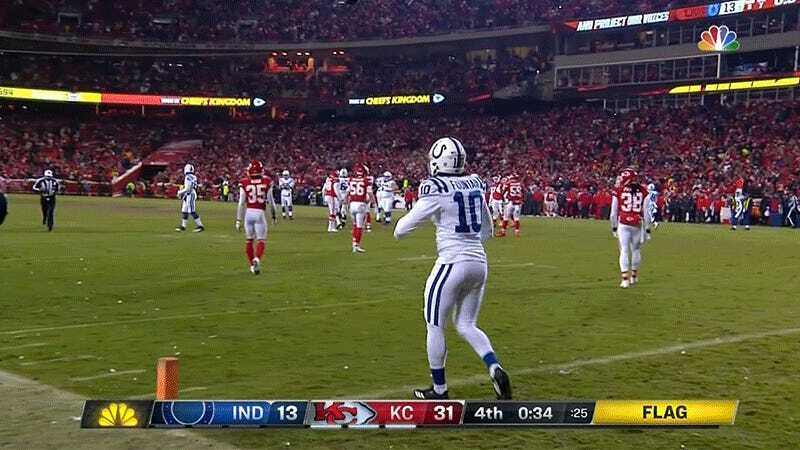 The Kansas City Chiefs rolled over the Indianapolis Colts, 31-13, to advance to the AFC Championship Game. 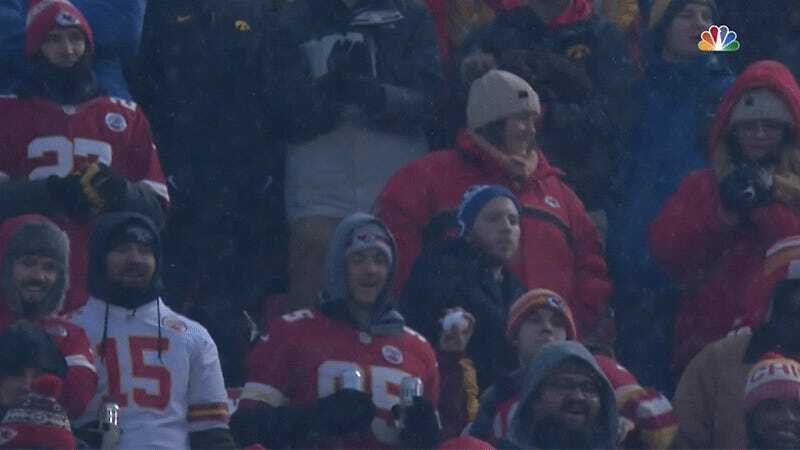 To keep themselves amused during the blowout, Chiefs fans threw snowballs onto the field at least three different times. 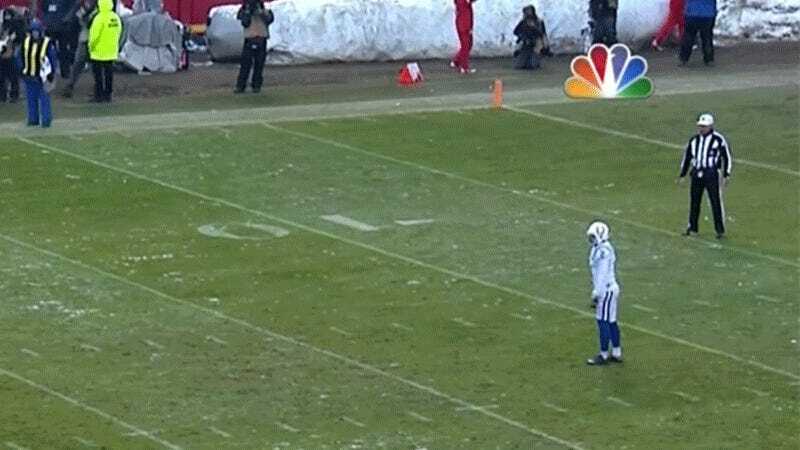 The first came during a Colts punt in the first quarter: A fan threw a snowball that landed just behind punter Rigoberto Sanchez. Fans should not throw snowballs onto the field. Still, there’s no denying that fan’s impressive arm strength and aim. The snowballs continued; late in the first half, they actually delayed the game. 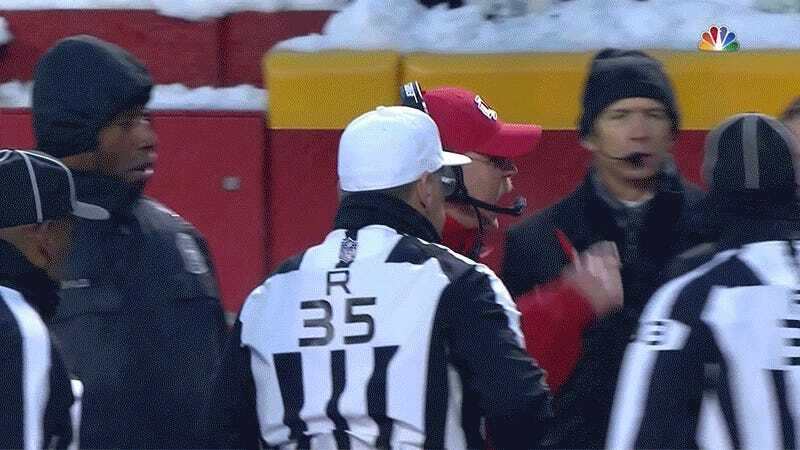 Andy Reid went over to the sideline to yell at some fans for throwing snowballs. It seemed like the snowballs then ceased. But with the game winding down, another fan threw a snowball after a dropped potential touchdown catch by Colts wide receiver Daurice Fountain. The snowball tosses elicited several obvious comparisons, but the one that might be most germane happened on November 11, 1985. The San Francisco 49ers lined up for a 19-yard field goal in Denver. Just as holder Matt Cavanaugh took the snap, a snowball fired from the stands hit right in front of him. He dropped the snap and ended up throwing an incomplete pass. The 49ers lost, 17-16. These snowballs didn’t affect the game, at least. “When you were in the locker room, the people used to try to nail you coming in,” Coach Tom Flores said last week. “That’s why they put that big fence there. When I was still playing, you never took your helmet off.